It was my oldest 8th birthday today! She wanted a pool party, and the plates all had hibiscus flowers on them. So this is what we came up with. A strawberry cake, with strawberry icing (and strawberry ice cream). 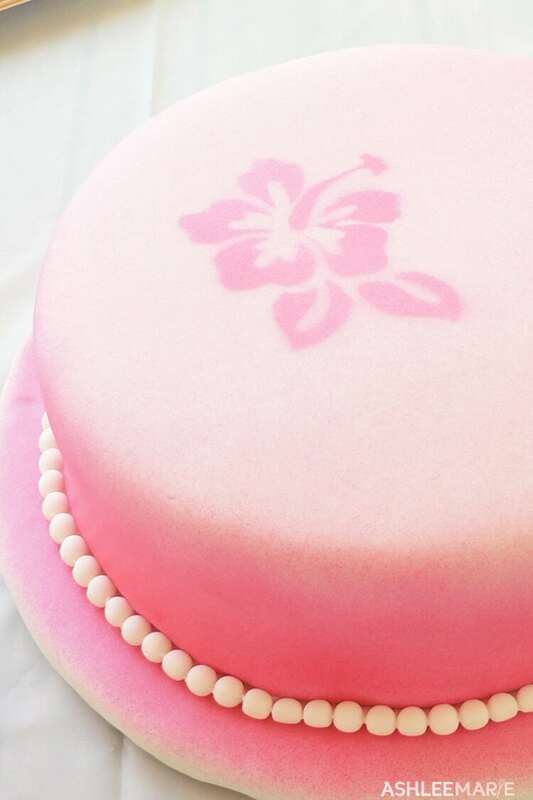 Covered in White fondant with Pink airbrushed on the sides and a flower airbrushed into the top. 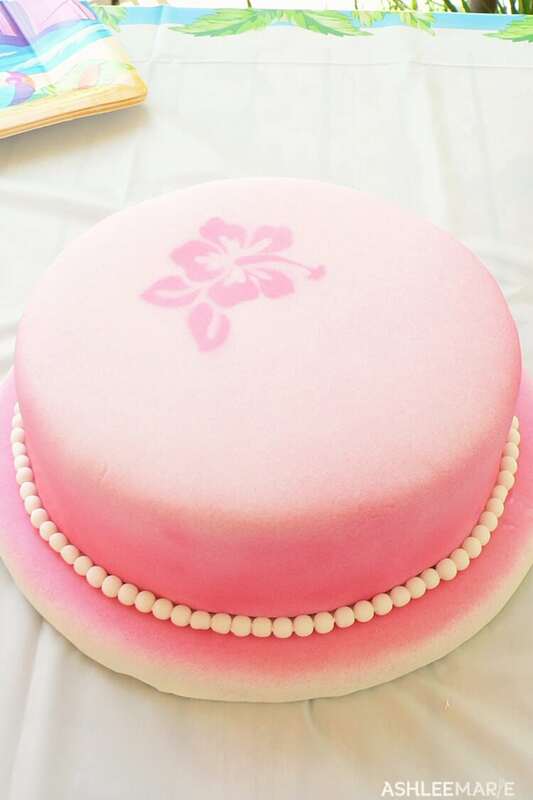 I would have liked to have done more with the cake, carved it into a hibiscus shape and make it look like a giant flower, but my youngest was up all night throwing up and ruined my early morning plans. Still, the birthday girl was happy and the cake was gone in one day. Yeah!